In his new book, Beauty Imagined: A History of the Global Beauty Industry (Oxford University Press), HBS professor Geoffrey Jones explores how the beauty business both satisfies and amplifies the fundamental desire of people around the world to look their best. In so doing, the book provides a unique lens on globalization and offers fascinating accounts of individual entrepreneurs, the evolution of beauty ideals, and the rise of the industry and its principal companies. Excerpts from the book follow. The beauty business began modestly with the sale of products widely deemed an affront to public morality. Today, consumers around the world spend $330 billion a year on fragrances, cosmetics, and toiletries. The industry’s transformation from humble moral nuisance to a global brand-driven powerhouse offering products essential to daily life is one of the more intriguing stories in modern business history. The origins of beauty products lie primarily in local knowledge of the scents and healing properties of plants, flowers, and herbs, whose uses were bound by age-old religious and cultural beliefs. Yet somehow these delicate flora became the foundation of a global industry made strong by a century of virtually uninterrupted growth that not even economic meltdowns and world wars have been able to stop. While the scale of the industry is impressive, its existence also raises many questions. What are consumers really buying when they buy a perfume, or face cream, or lipstick? Scents which last a few hours or face creams that can’t be seen once applied are neither straightforwardly utilitarian products, like food or computers, nor status-symbol luxuries, like expensive watches or designer jeans. Why do consumers pay so much for products whose ingredients are well known to represent only a small proportion of the retail price? Beauty is certainly, as one recent study showed, one of America’s most profitable industries, just behind pharmaceuticals and software, and far above the average of all industries. Many apparent paradoxes add to the puzzle posed by the industry. While rarely considered fundamentally “bad,” such as the trade in narcotics or tobacco, the beauty industry has attracted a legion of both critics and cynics over the years. The importance of women as consumers, in particular, has led to a long-standing critique of the industry as an instrument for the oppression of women by men (and their corporations). Feminist writers have regularly blamed its advertising campaigns for encouraging an obsession with physical perfection that traps women in an endless spiral of hope, self-consciousness, and self-hatred. Yet beauty is also an industry in which women have been unusually prominent as entrepreneurs and business leaders. The list of triumphant women is striking in view of their under-representation in so much of business…. The globalization of today’s beauty industry itself is not without its paradoxes either. It is both astonishing in its scale and puzzling in its apparent limitations. It is remarkable how an industry which had its roots in people making creams in their kitchens, or small pharmacies making concoctions for their customers, could become so international. Today the ten biggest companies collectively account for over one-half of sales throughout the world. The two biggest, L’Oréal and Procter & Gamble (P&G), account for over one-fifth of total world sales alone….Avon, the world’s biggest beauty brand, was worth $11.3 billion in 2008. Unilever’s Dove and P&G’s Pantene, in second and third place, had sales of $5.3 billion and $4.5 billion, respectively…. Equally striking are the wide variations between countries in types of products consumed. Europeans spend, proportionately, far more on fragrances and skin care than Americans, who in turn spend far more on color cosmetics than Europeans. The Asia-Pacific region is a modest market for fragrance, accounting for only 6 percent of the world fragrance market, but represents an impressive 40 percent share of the skin care market. While in the United States the make-up market is twice the size of the skin care market, in China the skin care market is four times the size of the make-up market. The huge Asian skin care market is unique, moreover, because skin-lightening products form a significant proportion of the sales of the more expensive skin care brands. Moreover, although leading brands might be global, their appeal is not. In fragrances, every market’s list of its top 20 brands is unique. The top-selling fragrance in Germany, for instance, does not even appear on the lists for France and the United States. Only one brand, Chanel NÂ° 5, now over 80 years old, holds strong market positions across the world. People in different countries like quite different scents. In the words of one executive, “American women tend to prefer fresh, clean perfumes, whereas European women tend to prefer heavier, more complex scents, both of which contrast with the Asian preference for light scents.” For an industry which looks global, it has some decidedly local characteristics…. World War I helped launch the beauty revolution. In close quarters, soap use and hygiene were military imperatives; postwar, soap companies touted cleanliness as good for health and success, but also for beauty. Hair washing, long unfashionable, was also a 20th-century phenomenon. 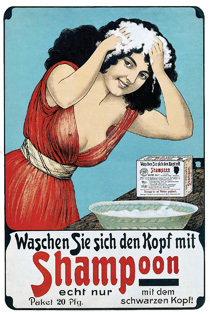 This 1905 German advertisement promotes one of the first shampoos. World War I resulted in an accelerated flow of creative talent into the United States, primarily New York, reinforcing that city’s status as a hub of talent, fashion, and retailing to match Paris. Helena Rubinstein took advantage of the American citizenship of her husband and fled from Paris to New York in October 1914. She opened her first salon the following year. The celebrity hairdresser Charles Nessler, interned as an enemy alien in Britain, also escaped to New York under a false identity and built a new business. The 1917 Communist revolution in Russia produced another influx of refugees. This cohort included Prince Georges Matchabelli, the son of nobility in Georgia and an amateur chemist. He began blending perfumes for his friends at an antique shop in New York before founding his own perfume company in 1926…. The social importance of smelling and looking “clean” was by now firmly established in the American cultural psyche. The war served further to diffuse hygienic habits, as the need to keep millions of soldiers free of disease resulted in soap, razors, and other toiletries becoming required elements of soldiers’ equipment. Soap companies continued to make the case for hygiene. In 1927 they joined together to form the Cleanliness Institute, whose primary function was cooperative sales promotion to teach the American public the importance of keeping clean. The use of the term “institute” emphasized the seriousness, indeed national importance, now awarded to cleanliness. The advertising campaign for Lever Brothers’ Lifebuoy Soap, launched in 1926, warned of the grave personal and business consequences caused by “body odor,” a concept which Lever invented and its products prevented. Hygiene was increasingly associated with beauty. The Camay perfumed beauty bar, launched by P&G in 1926, became advertised as “The Soap of the Beautiful Woman.” Just as soap was transformed from being about hygiene to being about beauty, so toothpaste brands increasingly emphasized their ability to make their users more attractive with whiter teeth and fresher breath. These qualities had never been explicit priorities for most people…. The well-established mass market for skin creams also continued to grow….A new marketing strategy for Pond’s Vanishing Cream and Pond’s Cold Cream…sought to persuade women to incorporate both creams into a daily beauty regimen…as a more respectable means of looking beautiful than using more explicit cosmetics. 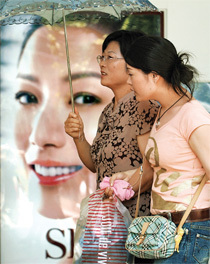 In Shanghai, two women shade themselves as they walk past an ad for a skin-lightening cream. Powered globally by marketing, media, and entertainment, commercial beauty ideals may challenge local cultural norms but resonate with consumers. To be beautiful seems an inherent, universal desire, one that the beauty industry meets and manipulates. The broadest level of globalization remained in toiletry brands. Toiletries were the only category other than perfume in which foreign companies were able to hold a significant share of the American market. Toiletries were also the main category sold by Western companies in developing countries….As these companies took their brands into foreign markets, they diffused consumption habits. As incomes rose and distribution channels matured, companies would introduce more expensive products. Toothpaste would follow toilet soap. Shampoo would follow toothpaste. At some stage a market for cheaper brands of cosmetics would develop. The relationship between income levels and the type of consumer product which could be sold was understood, providing companies with a rough-and-ready guide to when a market might be ready for the introduction of a particular category and brand….The practice of using deodorants, for example, was much slower to spread in Europe than in the United States. There was particular reluctance to use deodorants (and soap) in France, which was only partially overcome after L’Oréal launched its own product, Printil, in 1964. The company was careful to avoid marketing that used American-style threats of broken relationships resulting from bad body odor, opting instead to emphasize the feeling of well-being in one’s own skin. For even the most internationalized company, only some brands were thought capable of being globalized. While Lux was a global giant, Unilever’s strategies with its other brands reflected a persistent belief in the dissimilarities rather than the similarities among markets. Like all consumer products companies, Unilever understood that markets differed, but the belief in local autonomy and decentralized decision-making became a core value within the company….Meanwhile, the largest American consumer products company remained cautious about international markets. During the 1950s, P&G stayed heavily focused both on the North American market and on laundry soap and synthetic detergents, where it had secured a worldwide technological lead in the late 1940s. The ownership of the world beauty industry experienced enormous change between the 1960s and the 1980s. Numerous small and medium-sized cosmetics, fragrances, and toiletries brands were bought and sold, sometimes multiple times. It was clear that a large company from a different industry, whether pharmaceuticals, tobacco, or soap, could buy a good collection of cosmetics and fragrances brands. It was also clear that the real challenge was to manage them properly. This frenetic activity was more than a game of corporate musical chairs. More fundamentally, it was a story of a search for identity by an industry whose borders were still unclear. It was also a search for the right business model needed to take the industry, whatever its identity was, to the next stage. For a time, it seemed that this model would involve the reuniting of beauty and health. The world’s largest pharmaceutical companies purchased some of the most iconic brands of cosmetics and fragrances. Revlon’s Charles Revson and L’Oréal’s François Dalle invested in pharmaceutical companies. Avon bought health care companies and nursing homes. It turned out, however, that beauty and health had diverged too much from their common origin in the past to be reassembled…. The two decades after 1990 saw frenetic change in the beauty industry, as firms sought to capture the opportunities offered by a flatter world….The solution, a number of firms concluded, was to focus support on fewer, but larger, brands. The resulting “megabrands,” as they became known, could then be expanded across the world and into different product categories….P&G, which had for decades developed high-volume brands in its other consumer products, became one of the most important examples of this strategy….P&G’s acquisitions of Cover Girl and Max Factor had given the company a portfolio of beauty brands beyond toiletries and hair care, especially in color cosmetics, and it now expanded across other product categories, including both mass and luxury segments, and geographically. The spread of megabrands, and the continued diffusion of French and American beauty ideals, coincided with a new sensitivity to difference and diversity. The once homogenous mainstream American beauty market, for example, increasingly reflected the country’s rapidly growing ethnic diversity. The nearly 80 million Hispanics, African Americans, and Asians recorded by the U.S. Census in 2000 had already reached nearly 30 percent of the overall American population. There was a rapid expansion of brands which sold to people with specific skin tones and ethnicities. Ethnic-specific beauty sales reached $1.5 billion in the United States in 2006, and each major brand sold to these markets. Any lingering Barbie-style homogeneity in models gave way to greater diversity, especially in the range of skin tones that were recognized as being beautiful, and profitable. Worldwide, though, paler skins, rounder eyes, slim figures, and white teeth remained the benchmark of female beauty, regardless of ethnicity. Moreover, rather than diffusing homogeneity in a crude fashion, companies became increasingly concerned that while the core claims, and usually the core technologies, of brands had to be the same worldwide, the form in which such claims and technologies were delivered, whether in jars or creams, and the scents which were employed, should be relevant and adapted to local consumers in each market…. The incorporation of local ideals concerning skin lightness into global brands provides one example of challenges arising from incorporating local identities into brands. In India, Hindustan Lever’s Fair & Lovely skin-lightening cream was so successful that it continued to hold well over half of India’s $200 million skin-lightening market. The brand was also now taken international by Unilever. It was launched in Sri Lanka in 1992, and then rolled out to nearly 40 countries in Asia, Africa, the Caribbean, and the Middle East by 2008. As it was rolled out to other countries, the brand’s association of fairness with female beauty, and claims that it would enable women to find a better husband or job, led to criticism, as in India, that it was both racist and demeaning to women. Skin-lightening products, however, also formed a significant proportion of the sales of prestige skin care brands in East Asia, where a preference for lighter skin led to its incorporation into global brands. As in India, these preferences were rooted historically, but they have grown stronger over the recent past….A striking feature of the whitening fashion was that, to many, it was not an unwelcome relic from the past but widely associated with modernity and upward mobility, with a big market among urban professional women. From the perspective of many in the United States and Europe, the beauty companies could be seen as employing modern marketing methods to translate traditional prejudices concerning skin color, as well as gender roles, into warped aspirational values. From a local perspective, different interpretations were possible. In India, the use of fairness creams was seen as providing one means for women to escape from socially imposed limitations. — Excerpts from Beauty Imagined: A History of the Global Beauty Industry By Geoffrey Jones (© 2010). Reprinted by Permission of Oxford University Press. All Rights Reserved. 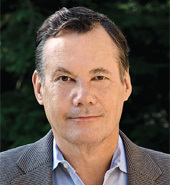 Geoffrey Jones, the Isidor Straus Professor of Business History, has written extensively on international entrepreneurship and multinational corporations. The author of many books, including Multinationals and Global Capitalism and Renewing Unilever: Transformation and Tradition, Jones, who holds BA, MA, and Ph.D. degrees from Cambridge University, is currently researching the history of green entrepreneurship. For a Q&A with Jones about Beauty Imagined, visit http://hbswk.hbs.edu/item/6263.html.